hyannis09 has no other items for sale. MENS TROUSERS CASUAL FORMAL OFFICE WORK SMART , WAIST 30"- 50", L 27" 29" 31"
Nice item, good value and fast delivery. Thanks. 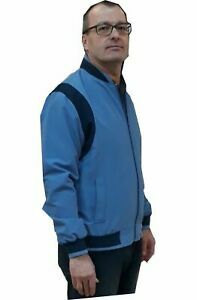 Very good quality jacket. Lined with two inside pockets and two outside pockets. Excellent jacket as described delivered in timely fashion! A+!